Northamptonshire's PCC says he would ask households to pay 2 a month more for policing if he could. Northamptonshire's police and crime commissioner has made a pitch for an extra £2 a month from taxpayers to put more 'up to 60' more officers on the streets. A consultation is open to ask the county's taxpayers if they would pay more in council tax to bolster policing and fire crews in Northamptonshire. It comes after the Government gave all police and crime commissioners (PCC) the power to raise how much they get through council tax by an extra £12 a year. But Northamptonshire's PCC, Stephen Mold, says if he had the choice he would ask to double that number and ask for £24 a year more from every household. Mr Mold said: "I've never sat down and asked myself what I would go up to if I could, but I think I would ask for another £24 a year per household. That's £2 a month. "That would add up to a total of £8m in Northamptonshire. It would be enough to put 50 to 60 officers on the streets and in neighbourhoods." Currently, the average household in Northamptonshire pays £4.25 a week towards policing. The ongoing survey is asking if people would be happy to have that raised to £4.50 - but Mr Mold is saying he would rather ask for £4.75. However, asking for that much would trigger a referendum in the county to ask taxpayers if they are happy to pay more. Mr Mold said: "I do not believe we're getting a great deal from the Government. But if we're asking people to pay more I want to make sure it's spent in the best way possible." 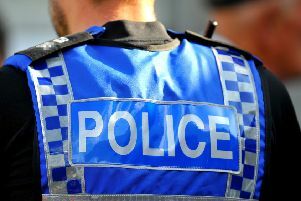 It comes after a report by the National Audit Office revealed total funding for Northamptonshire Police was cut by 14 per cent from 2010 to 2018. The survey on council tax funding can be filled in here.